You know that I'm a pretty happy Giganews customer, never had problems with their Usenet service and everything has been top notch ever since I signed up for my first account back in 2005. That's 17 Terabytes of data ago. Giganews has improved and expanded their Usenet service ever since, better retention, faster servers, the Memo usenet client that Giganews customers can use free of charge and VyprVPN, the free virtual private networking service for Giganews Diamond users. I currently pay $29.99 for my monthly Diamond account. This payment includes unlimited access to the VPN which is very handy for me, as I need access to a VPN anyway. I use it for instance to watch videos on Hulu or listen to Pandora music. It basically allows me to use services in the United States that are only open to US-users. I have received an email today from Giganews that states they have added to security options, or modules, to their VPN service. Both cost an extra $5 per month but may be very well worth it. 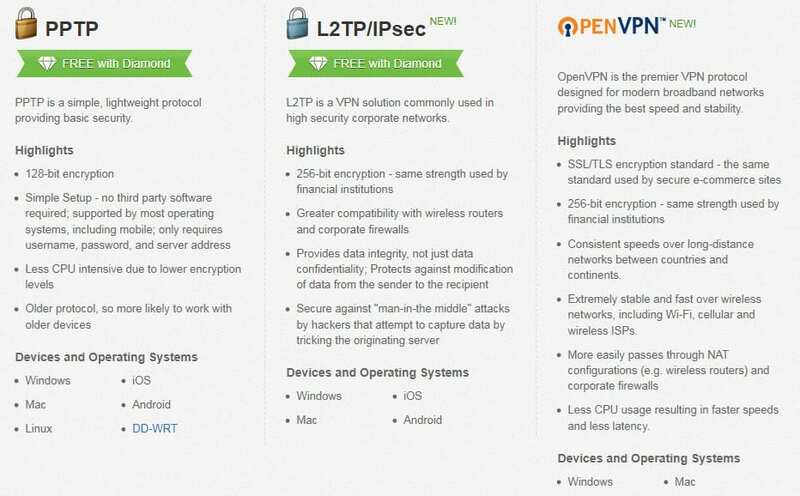 The VPN in its core state can be configured to use L2TP/IPsec or PPTP connections. Consistent speeds over long-distance networks between countries and continents. Extremely stable and fast over wireless networks, including Wi-Fi, cellular and wireless ISPs. Open VPN promises faster speeds, better latency and a more reliable connection. The second option is a NAT Firewall which can be added for $5 as well. This is basically a packet filter that blocks inbound connections before they are able to access the PC. The core benefits are that it does not use PC resources (like a software firewall would) and that it blocks attempts to scan or attack the PC and other connected devices. The two new security modules improve the VyprVPN service further. Open VPN can be an interesting option for users who want to improve the speed and reliability of their VPN connection, the NAT Firewall for users who want to add another virtual security layer. VyprVPN customers who order both packages get a 20% discount so that they only pay $8 per month for both services. Giganews is currently running a promotion for their Diamond accounts (which include VyprVPN free of charge). Users who sign up for a free trial pay $14.99 in the first month and a locked $29.99 afterwards. Customers who sign up after March 31 will have to pay $34.99 for the account per month. This company app crashed my pc and disabled my internet. They did nothing to help and even kept my money not giving me my refund even as i followed supports information on how to do so. they blocked my Ip address and i had to try for days to get things resolved. such a horrible experience i caution everyone to stay away. and you can read reviews elsewhere of people that have had similar problems as myself. Such a stressful and pain staking situation. The cost is very high and do not even send them a email through their contact support page it will not reach anyone. It is how they told me to ask for my refund on that page in which they deny days later that i even sent a email to them. Be safe and avoid them.